Rogers have developed a reliable reputation in the greenhouse industry, created by our quality designs, over 50 years’ experience, and pride in our craftsmanship. As a professional partner working with multiple respected institutions, Rogers’s team is accustomed to meeting such requirements in highly competitive environments, usually through public tenders. For a maintenance free greenhouse, growers depend on us. 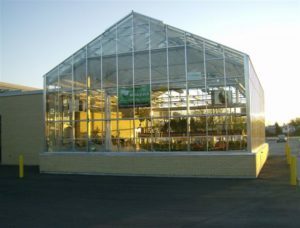 Rogers’s greenhouse structures are manufactured using galvanized steel under structures or aluminum I-beam construction. Commercial grade 60-63T6 aluminum glazing components and tempered safety glass are used throughout all our structures. Automatic or manual continuous side and top vents are available on all models for superior ventilation. We also supply louvers, fans, irrigation and heaters for all your growing needs. For dependability and durability, horticultural educators depend on our superior structures. Contact us to discuss your greenhouse needs and get a free quote.